The first through fifth grade program places a special emphasis on fostering personal responsibility and developing a Jewish identity while encouraging the growth of strong academic and communication skills. The program is divided into Early Primary, for grades K-2, and Primary, for grades 3-5. The curriculum includes language arts, math, science, social studies, Hebrew, Torah, Jewish history, computer and technology skills, as well as physical education, music and other enrichment opportunities. An integrated approach to the secular and Judaic curricula, as well as constant communication between secular and Judaic teachers during the primary years, ensures that new concepts and lessons in different disciplines reinforce one another. As children move through the primary program, they are given greater opportunities to work both independently and as part of a team on both small and large group projects. 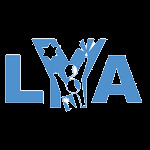 An intimate class size enables students to excel through individualized attention, while large group and whole-school activities ensure that children acquire the communication skills necessary to negotiate the larger school settings they may encounter after their LYA experience. The curriculum is supplemented by multiple opportunities for students to use and benefit from community resources through trips to local museums, libraries and other cultural institutions.